Abstract: Caves have been of interest to humans for millennia, but scientific interest in caves began only in the early 20th Century in the United States and a bit earlier in Europe. Much of the earlier research focused on the caves themselves, how they form, and the processes that take place inside them. Research of the past few decades has reversed the focus with the interest being in information caves can provide to other parts of the Earth sciences. The talk will provide a broad brush overview of cave sciences in the 21th Century. Caves form by two distinct mechanisms. Best known is the top-down dissolution of limestone by circulating ground water made slightly acidic by carbon dioxide. Both equilibrium and kinetics of the reactions are well-known and some elegant models have been made of cave development. A more recent finding is that many caves have formed by deep-seated solutions welling up to the water table with the active agent being sulfuric acid rather than carbonic acid. Many caves display spectacular speleothems but the bulk mineralogy tends to be boring: calcite, gypsum, and aragonite. Although less obvious, more than 300 other minerals have been formed by secondary deposition in caves. What brought cave studies into the mainstream of the Earth sciences is the importance of karst aquifers as water supplies. Karst aquifers are a major source of domestic water supply. The conduit permeability means that karst aquifers respond rapidly to flood flows with changes in flow paths and water levels. Contaminant transport in karst aquifers is rapid, often to unknown destinations, and strongly dependent of the physical properties of the contaminant. Caves have been recognized as useful sources of geomorphic information. Caves are strongly linked to landscape evolution. Clastic sediments in caves can be dated by cosmogenic isotopes providing useful markers for incision rates of surface streams and landscape evolution. Calcite stalagmites grow slowly from the bottom up. A precise chronology of the layers can be obtained by U/Th isotope dating methods. Isotopic signatures (O,C,H) and trace element concentrations can be mapped along the growth axis. These maps reveal climatic variations of the surface above the cave over the time span represented by the speleothem. Bio: William B. (Will) White is professor emeritus of geochemistry in the Department of Geosciences at the Pennsylvania State University. Prior to retirement he held joint appointments in Geosciences and in the Materials Research Institute. He also taught in the Department of Materials Science and Engineering and supervised graduate students in the interdisciplinary program in Environmental Pollution Control. He holds a B.S. degree in chemistry from Juniata College (Huntingdon, PA) (1954). From 1954 to 1958 he was on the staff of the Department of Research in Chemical Physics at the Mellon Institute in Pittsburgh while pursuing graduate study in physics at the University of Pittsburgh. In 1958 he transferred to Penn State, received his Ph.D. in geochemistry in 1962, and after a year and a half in a post-doctoral position, joined the faculty in 1963, reaching the rank of full professor in 1972. Dr. White received the Matthew J. and Anne C. Wilson Award for outstanding teaching from the College of Earth and Mineral Sciences in 1974, the Outstanding Service Award (Honorary Life fellow) from the National Speleological Society in 1975, and the Lifetime Achievement Award in the Science of Speleology from the NSS in 1994. 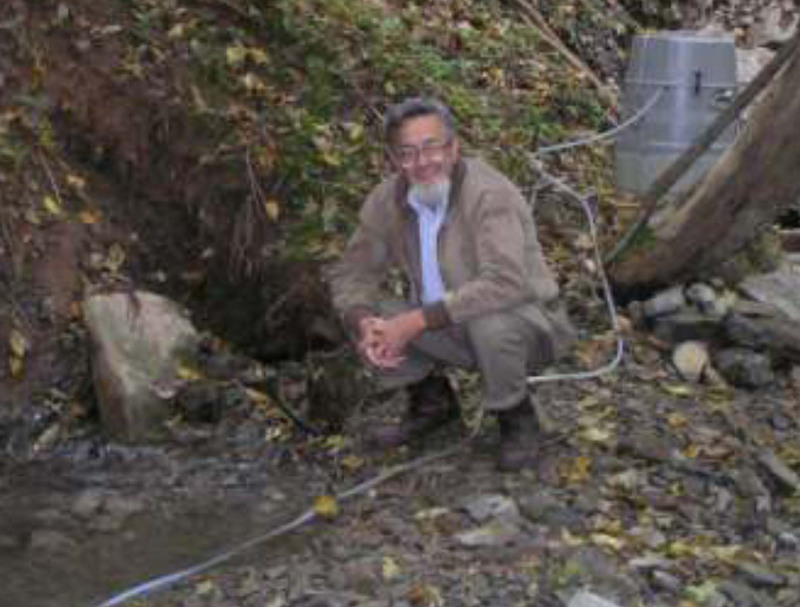 In 2001 he received the Karst Waters Institute Award and in 2004 the Distinguished Career Award from the Quaternary Geology and Geomorphology Division of the Geological Society of America. He is a Fellow of the American Association for the Advancement of Science, The Mineralogical Society of America, The American Ceramic Society, and the National Speleological Society. Dr. White's research activities have been divided between materials science and geological science. The former includes investigations of crystal chemistry, glass science, optical and phosphor materials, and infrared, Raman, and luminescence spectroscopy. The geological sciences include mineral physics and the hydrogeology and geomorphology of caves and karst. Overall, the research has been reported in 440 technical papers and 15 books. Recent books include "The Encyclopedia of Caves" (Elsevier, 2012), "The Caves of Burnsville Cove, Virginia" (Springer, 2015), and "Caves and Karst of the Greenbrier Valley in West Virginia" (Springer, 2015). His textbook on Geomorphology and Hydrology of Karst Terrains (Oxford Univ Press 1988) has been widely used. Field investigations for cave and karst studies include the Appalachians (Pennsylvania to Alabama), the Mammoth Cave area, Kentucky, Puerto Rico, and other locations. Dr. White has traveled widely to karst areas of the world including much of the United States, parts of western Europe, the Adrian Coast and China.